Lara Jean Song Covey used to be in love with her sister’s boyfriend, Josh, back before Josh and Margot started dating. Luckily, Lara Jean has a ritual for when she doesn’t want to like a boy anymore; she pours all her feelings into a letter, and once that letter is sealed and tucked away in a box, never to be sent, she isn’t in love anymore. But now Margot is going away to college, she and Josh have broken up, and Josh has somehow received Lara Jean’s old good-bye letter in the mail. In fact, all of her old love letters have been mailed off, forcing her to confront each of her former crushes, including her first kiss, Peter Kavinsky. As someone who gets embarrassed on behalf of fictional characters, I was worried that the premise of this book would make it too painful to read. However, Jenny Han handles it with a light touch, plenty of humour, and lots of introspection on Lara Jean’s part, so that the embarrassment wasn’t too cringe-worthy. Although five letters are sent out, only three make their way to their recipients, freeing up the plot to focus mostly on the fall out of Josh and Peter’s reactions. Unfortunately, the main problem I had with this book was that I didn’t really like either of the boys. The more badly behaved rival love interests are in their competition for the heroine’s attention, the less I like them both. 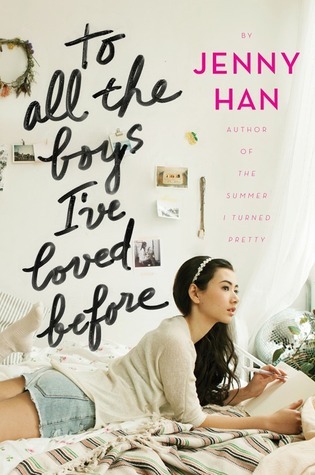 While I wasn’t super engaged by the love story, I was impressed by how well Han portrayed the relationships between the three sisters, as well as Lara Jean’s own personal growth. Although Margot is absent for most of the story, her presence lingers thanks to her complicated role as sister-mother to her younger siblings after their mother’s death. Lara Jean both misses her sister, and feels the pressure to step into the mother-figure role that Margot was inhabiting, for the sake of their youngest sister, Kitty. Overall, the family dynamic is much stronger than the romantic one. 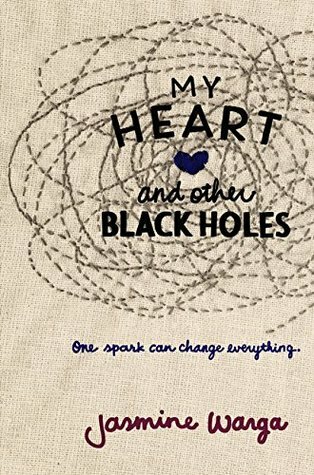 Lara Jean does have some important romantic development, as she learns how to express her feelings rather than just burying them, and how to be in a relationship with another person rather than just admiring boys from afar. However, the family dynamic remains the main strength of the book. I have to admit it was the title that hooked me, too!